Spend some time in the Wizarding World! This wildly colorful 1,000-piece puzzle features the biggest icons from the Harry Potter films! 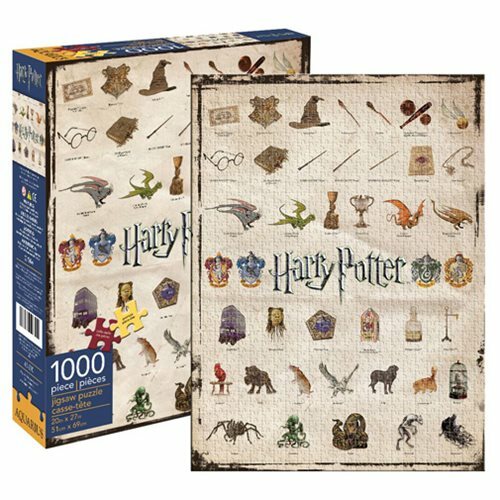 The Harry Potter Icons 1,000-Piece Puzzle measures 27-inches tall x 20-inches wide when complete. Ages 14 and up.